Orange County, a conservative enclave in Southern California, turned all blue after thousands of votes were found after Election Day. It is odd that there were 776,218 votes for Democrats in the Orange County Congressional races, yet there were only 476,827 votes for Gavin Newsome, the Democratic candidate for Governor. Why would nearly 300,000 Democrats vote for a representative in Congress, but ignore voting for Governor? UPDATE— We used numbers from Politico and the Orange County website. The OC website shows counts from Orange County and does not include numbers from outside the county. Dov Fischer at the American Spectator makes an interesting case for what looks like fraud in the Democrats’ unexpected sweep of all Orange County congressional seats. So here is what happened. All these Republicans Congressional candidates in Orange County and in other parts of the People’s Democratic Republic of California (PDRC) came out of election night as winners. Two-term representative Mimi Walters in the 45th Congressional District. Young Kim, an appealing newcomer to Congress of Korean-American heritage. Others. And then, each day, as more and more provisional and other ballots kept emerging in the California count, the Republican leads dwindled. But you had your eyes on the red card – the red states of Florida and Georgia. All the election lawyers flew to the red states. The media. The focus. Rick Scott was ahead by a gazillion votes, then fifty thousand-ish, then thirty thousand-ish, then fifteen-thousand-ish, until he finally called in the cavalry and filed a federal lawsuit. Suddenly, with judges in the game, his and DeSantis’s leads stopped dwindling, and Americans learned to our bemusement that Brenda Snipes still is not in jail. We became eagle-eye focused on Broward County, Palm Beach County, the craziness next door in peach country. And meanwhile more Congressional ballots kept showing up in the Golden State each day, getting counted in the PDRC. It’s an interesting circumstantial case, because it was funny how so many “found” ballots showed up for so many House seats after the election was done, with all of them favoring the same party, which just happened to be the direction of the one-party state that was counting the ballots. Funnier still, it’s amazing how all of those found ballots, in each and every case, amounted to just enough to tip the congressional seat to the Democrats. The coincidences seem just a little too strong. Fischer is right that all of the press attention seemed to be on the east coast, where judges were brought in to restore order. There were no such challenges of that kind in California. In fact, the strongest of the Orange County Republicans, Young Kim, who had a large-margin three-point victory on election night, same as Democrat Katie Hill, who defeated Republican Steve Knight uphill in the nearby Santa Clarita vicinity, somehow lost that entire lead in the continuous counting, while Hill’s margin by contrast didn’t make a dent. Funnier still, the newspapers, though they insisted that 100% of the votes were counted, never acknowledged that Young Kim had won when it seemed as though she had on election night. It was like some kind of fix was in. One other thing that makes me suspicious is that the secretary of state, Alex Padilla, pretty well asked voters to certify only that they were residents of the state on the mail-in ballot form, not that they were citizens. 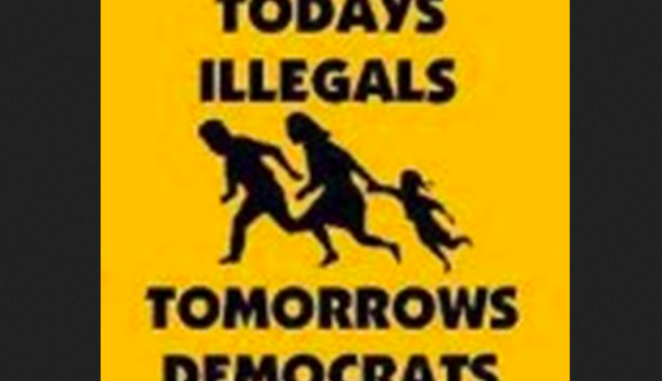 Orange County is absolutely loaded with illegals as far down as San Juan Capistrano, and that is a fairly recent development. Combine it with the Latino machine that runs politics in those parts, and one can only surmise that not every vote was cast by a citizen. There’s other O.C.-specific cause for suspicion: the place is very conservative historically, and there were recent protests about homeless-dumping in Irvine ahead of the election, something that would normally lead fired up voters around the area to vote for Republicans. 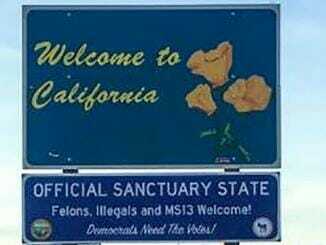 California: Democrats hold every statewide office, both chambers of the Legislature and a 3.7 million edge in voter registrations. 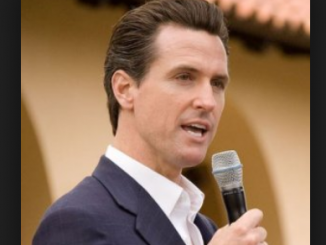 Newsom pledged to pursue universal health care that is estimated to cost $400 billion. California leads the country in poverty. 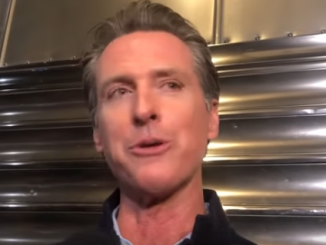 California: Democrat gubernatorial candidate Gavin Newsom vowed to implement universal healthcare in the the state and will grant medical services to illegal aliens through executive order. Newsom is up in the polls by 20 points and is likely to win the governor’s office. It is up to those Republican House candidates in the Orange county races to sue Padilla and the state over adding these late discovered ballots. Chain of custody is a basic tenet of elections in this country. When late ballots are suddenly “discovered” and no one can explain it, they are normally thrown out. This same legal challenge should have been done in Florida and Georgia, too. We aren’t supposed to be a third world country, but we are quickly becoming one.